Who Needs a Slide Projector? I’ve Got a Smartphone Projector! Anyone who spent their youth between 1950 and 1980 probably experienced at least one evening when a slide projector was brought out and someone’s vacation trip was displayed, slide by slide. The slide projector died a quiet death and photo slides became a thing of the past except for ultra-professional photographers. However, the concept always made sense and still does. So, no surprise, someone has figured out a way to connect a smartphone, where people keep lots of recent photos, to a gadget that displays them on a screen or wall. Luckies of London has produced a boxy looking contraption that does the job, and it even looks like a vintage projector from the 1950s complete with the leather body and bordered tin edges. Ironically, the contraption is, in reality, just a cardboard construction for a high price. However, their design is not the only one available. Sanwa Direct provides a far more substantial unit that is both compact and functional. 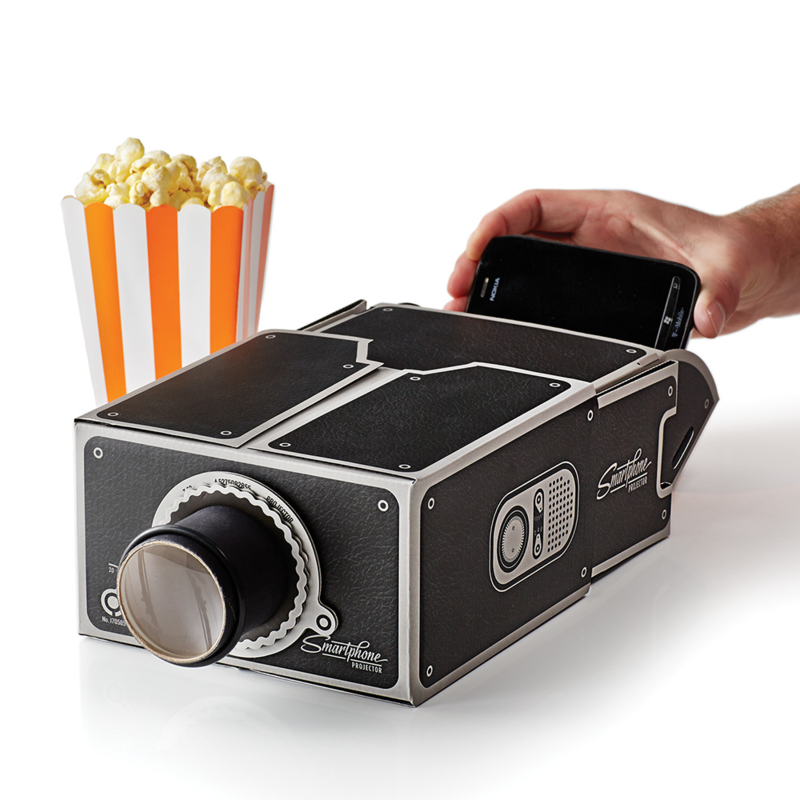 This flat, cassette size projector stands on a small tripod and creates a reasonable-sized image projection on any wall or screen via USB connection from a smartphone. The day slides are gone, but these projectors still do the same job.